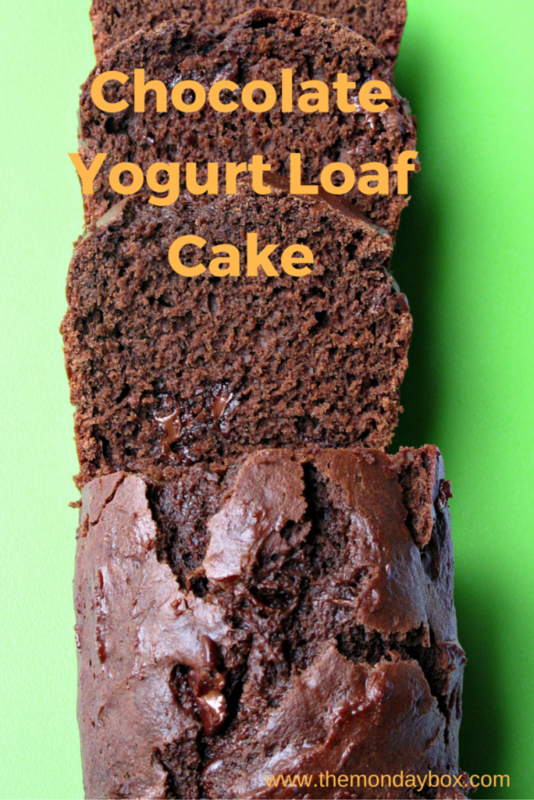 Chocolate Yogurt Loaf Cake makes eating chocolate for breakfast completely acceptable! 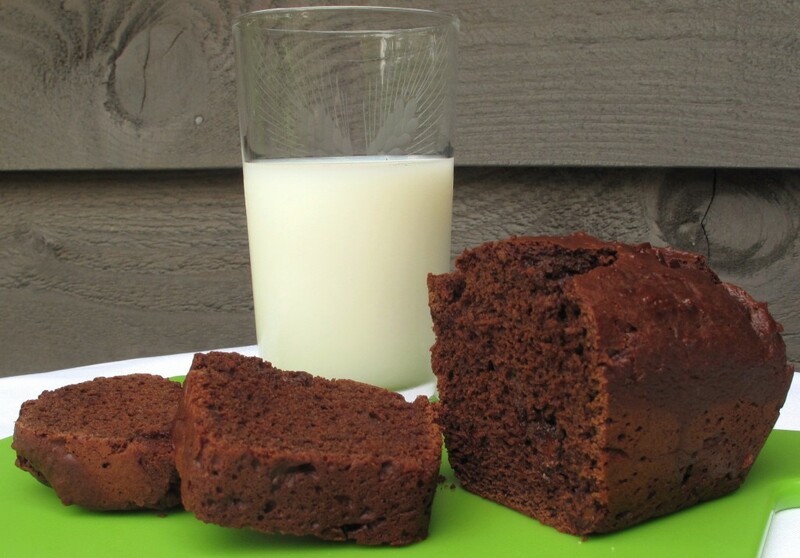 But you wont want to reserve this luscious quick bread for breakfast only.Easy to whip up at a moments notice, savor this chocolaty snack all day long! 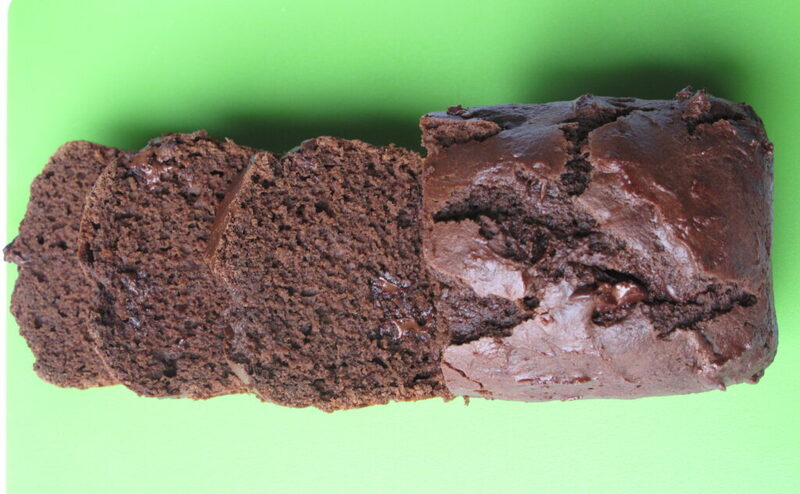 I saw a recipe for chocolate yogurt cake made in a loaf pan. Thinking this would make a good Monday Box mini loaf, I gave it a try. Though I swear I was watching the baking time carefully, to adapt the recipe to my smaller pans, the loaves came out really dry. I tried again, subbing full fat yogurt for the original low fat and adding a handful of chocolate chips. This time I know I was watching the baking time carefully, checking with a toothpick for doneness. Attempt #2 loaf was ok while warm but still too dry. Any sane person would toss the recipe and move on. I, on the other hand, researched yogurt cakes and found a wonderful French recipe (here) for vanilla yogurt cake made in a 9” round pan. Chocolate Yogurt Loaf Cake comes out moist and stays that way for at least 4 days (It might stay fresh longer but we didn’t have any left to try beyond 4 days.) The problem with this cake is that its vanilla, which isn’t really a problem, unless you want chocolate. This final recipe came about when I added 7 ounces of melted semi-sweet chocolate to the vanilla batter. 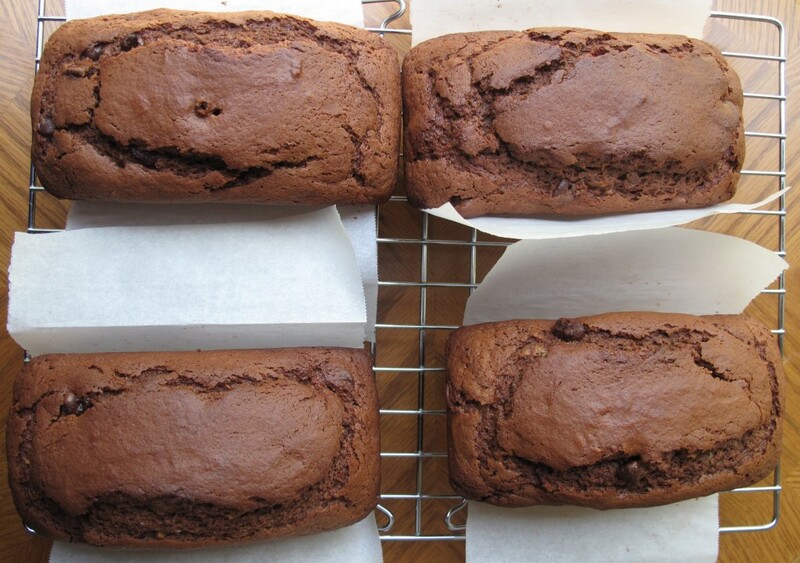 The result is a moist chocolate loaf firm enough to withstand mailing. It freezes well so you can store away the extra loaves for future care packages. And if for some reason you prefer vanilla to chocolate, just leave out the chocolate. 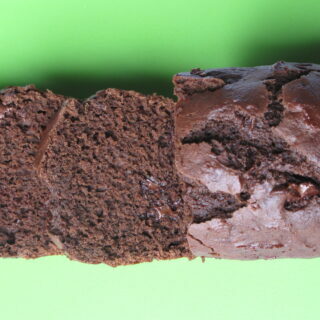 My suggestion: Pour a glass of cold milk and enjoy a slice of Chocolate Yogurt Loaf Cake today. The results of my baking struggles were worth the wait! 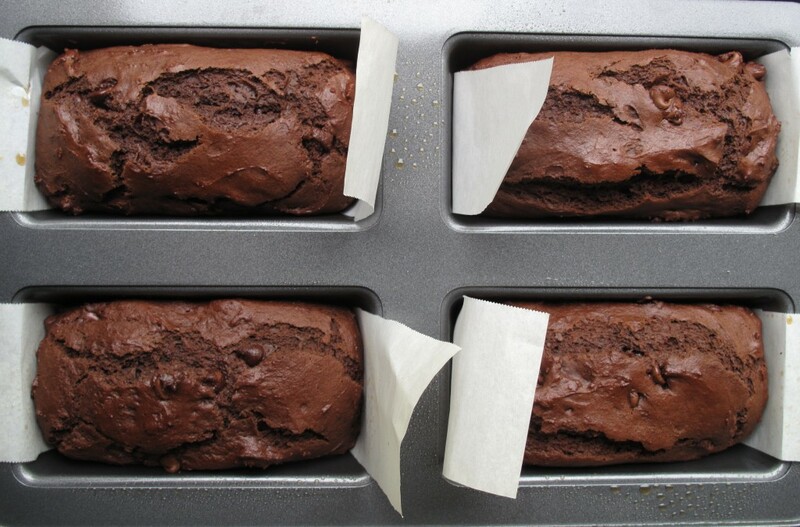 • Spray the sides and bottom of the loaf pans with non-stick spray, line with a strip of parchment paper, and spray again. • In a microwave-safe bowl, melt the chocolate with ¼ cup of oil. Cool slightly. • In a large bowl, gently stir the chocolate, vanilla, eggs, yogurt, sugar, and remaining ¼ cup of oil. • In a separate bowl, whisk to combine the flour, baking powder, baking soda, and salt. • Slowly add the flour mixture to the yogurt mixture. Stir gently until just blended. • Fold in the chocolate chips. • Divide the batter evenly between the loaf pans. • Use the parchment strips to lift the loaves out of the pans to cool on a rack. When completely cool, double wrap in plastic wrap. The loaf is pretty solid, so it should ship well in a padded box. Stays fresh for 3-4 days in airtight wrapping. A few seconds in the microwave brings back moisture to a slice that is too dry.